Raising a child isn't cheap and for many parents, college is one of the largest costs to plan for. According to CollegeBoard, the average cost of out-of-state tuition and fees at a public, four-year university was $25,620 for the 2017-18 academic year. The cost climbs by $10,800 when room and board are factored in. Students attending private universities can expect to incur an even higher cost of attendance. Something else you have to consider: inflation and rising tuition prices. Colleges and universities routinely raise prices so if your child has a decade to go until they begin their freshman year, you'll need to factor in the possibility of paying more. This calculator from CollegeBoard can help you project future estimated costs. A 529 college savings plan, on the other hand, allows for tax-free growth and tax-free withdrawals for qualified education expenses. 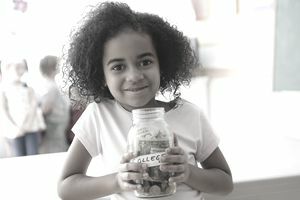 All 50 states offer at least one 529 plan and you can contribute to any plan, regardless of which state you live in. Depending on the plan you choose, the total lifetime contribution you can make may reach $500,000. Remember that you'll need to observe the annual gift tax exclusion limits on contributions. For 2018, gift tax applies to financial gifts of more than $15,000. If you're married, you and your spouse can jointly contribute up to $30,000 per year, per child to a 529 college savings plan. Alternately, you can make up to five years' worth of contributions at once without a gift tax penalty. If you do that in the first year of the countdown, however, you wouldn't be able to make any new contributions until five years have passed.